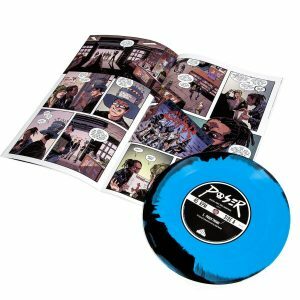 Waxwork Records and Comics (their new comic book publishing arm) recently launched the debut issue of POSER, a brand new punk rock horror-comic and vinyl soundtrack series, which is on sale now! In continuing with Waxwork’s acclaimed combination of original music with great storytelling, POSER features an all new companion soundtrack by Joel Grind (Toxic Holocaust) pressed to coloured 7” vinyl. Enjoy the Black Flag meets John Carpenter “Poser Theme”, and the climactic Discharge meets Tangerine Dream infused track “The Gig”. 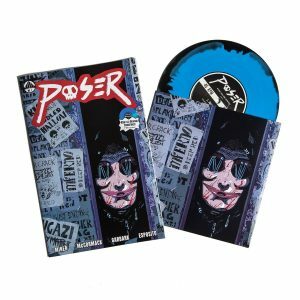 Penned by Matt Miner and illustrated by Clay McCormack, POSER is a brand new punk rock horror-comic series that Steve Niles (30 Days Of Night) calls “relentless and brutal” and Sean Murphy (Punk Rock Jesus, Tokyo Ghost, Hellblazer) raves is a “master class in sequential storytelling”. POSER features colours by Doug Garbark and Letters by Taylor Esposito.